Making the finest wood heating pellets in the USA is our sole focus. Since our beginning in 2011, our goal has always been on making the best pellets in the USA. Our growth from a few dozen dealers to over 300 has been fueled by wood pellet customers that want the hottest and cleanest pellets to heat their homes. If you think all pellets are the same, we encourage you to try ours! Try one of our 3 premium brands! Is there any other location in our area that still has any in stock so we can purchase more? They are by far the best, cleanest burning wood pellets we have ever had in the 12 years of owning a pellet stove. Thank you!!! I live in San Jose, CA and we need to know dealers within 25 mile area. Lowe’s was carrying the Sierra Supreme but have run out. 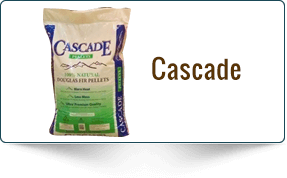 We love your product and have been using the pellets for a couple years with excellent results. Thanks so much for your help. Hi. I live in Ephrata and have tried different brands from around Grant county. I’m buying Olympus at Del’s feed store and found your product is the best! This is my first year with a pellet stove so I have been experimenting with various pellets. Stan where is the closest Olympus dealer to me? I picked up 5-6 bags last year. Best I have ever used. Burned hotter and little or no ash. Ready to buy a couple pallets when I can locate a dealer within reasonable driving distance from me. Thanks for suggesting I try Olympus Pellets at Home Depot. These are the best pellets I have ever used! I promise to pass the word to my fellow pellet stove owners to buy your pellets. Difference in ash amounts is AMAZING! 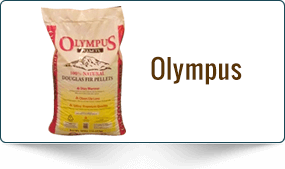 We bought several bags of your Olympus pellets from a feed store in our area that is now out of business. 20 + years buying pellets, yours are the best deal, by far. Keep up the good work. 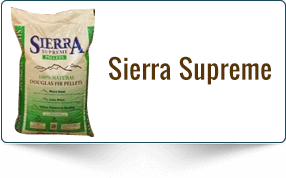 We purchased a pallet of your Sierra Supreme pellets from Lowes in Fresno. They are absolutely the best pellets we’ve ever used. Just a quick note to say that we love your Olympus pellets. We purchased ten bags to try out and we were very happy with the results! We were so frustrated with poor quality pellets that we nearly decided to get rid of our pellet stove. Fortunately we found your pellets at Lane Forest Products in Eugene. After burning another ‘premium’ pellet for the past 5 years, our neighbor suggested we try your Olympus pellets. We had no idea that there could be such a big difference in locally produced pellets. I have a pellet stove and bought an inferior pellet before I found yours, great product! Thanks.